We have all been enjoying the financial app by financial guru/financial educators of the Rich Dad Poor Dad organization based not the book "Rich Dad, Poor Dad" by Robert Kiyosaki. Developed by the Clutch Group, the Rich Dad, Poor Dad is an interactive game that allows you to experience the potential consequences of certain financial decisions. The app is available on the Apple App store. You can play as a poor, middle-class or rich person. You set financial goals and see if your financial actions allow you to meet or possibly exceed your goals. 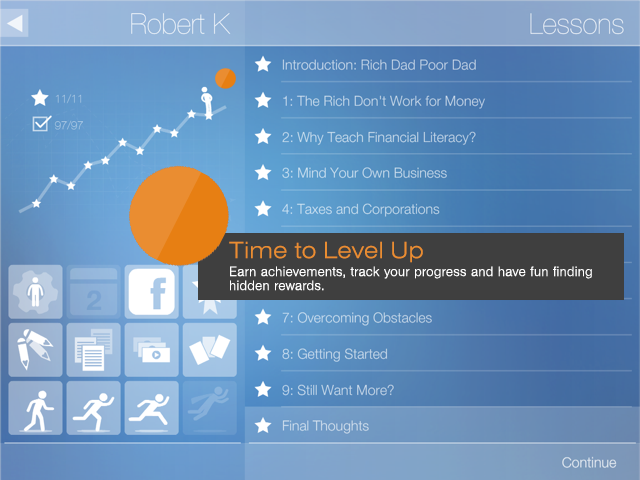 With a slick user interface (UI), our whole family has been enjoying and learning much from the Rich Dad, Poor Dad app. It has led to many interesting discussions in our family about financial choices and consequences. My children's financial vocabulary has increased greatly because of the Rich Dad, Poor Dad app. 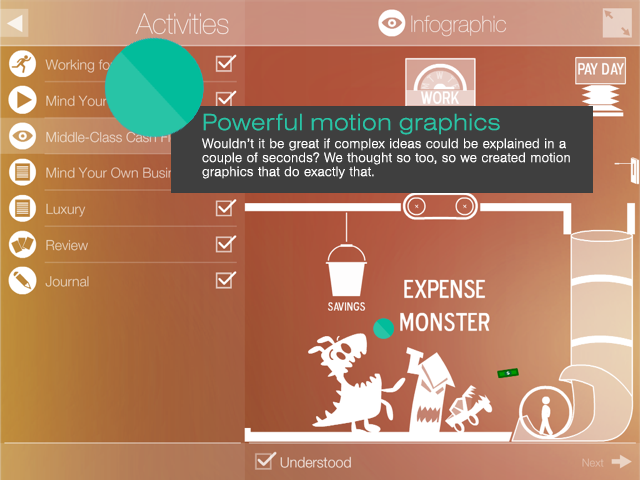 It is the best financial literacy app I have come across. 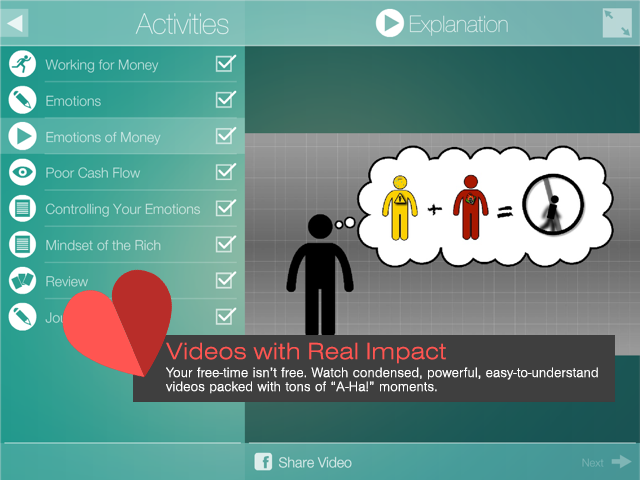 Get more details and the download link at Rich Dad, Poor Dad app by Clutch site. See screenshots below.